KFC is scrambling to limit the fallout of a second food scandal to hit its business in 19 months. Parent company Yum! Brands (YUM) warned Thursday that global profits could suffer this year as sales in China tumble following revelations that one of its suppliers was using tainted and expired meat. Yum immediately cut ties with the supplier, even while rival McDonald's (MCD) stood by the company. A quick response by Yum, which also operates Pizza Hut restaurants in China, doesn't appear to have mattered much. Late Wednesday, the company warned investors that the scandal was going to cause major problems. "These events triggered extensive news coverage in China that has shaken consumer confidence, impacted brand usage, and disparaged the hard work of our over 400,000 Chinese employees," Yum said in a SEC filing. The result has been a "significant, negative impact" to same-store sales at both KFC and Pizza Hut in China over the past 10 days. 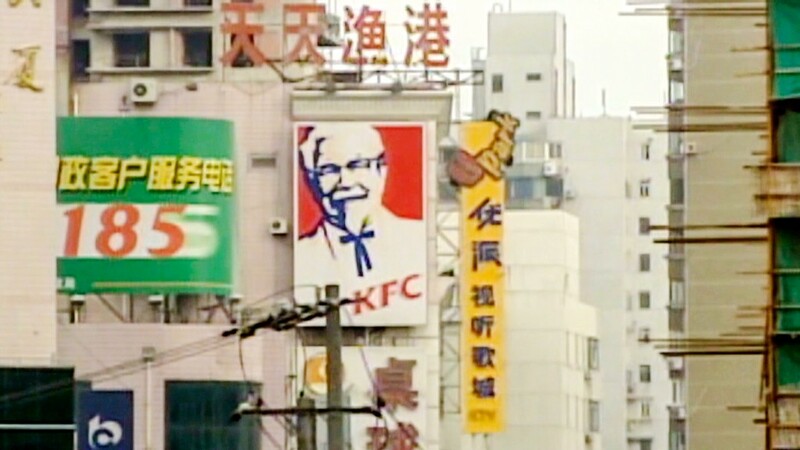 It took Yum the better part of a year to get back on a solid footing in China after a previous scandal broke in December 2012 when a powerful state media outlet accused local KFC suppliers of cramming extra antibiotics into their chickens. The fallout was immediate and intense. Worried consumers swore off Colonel Sanders' chicken, sales plummeted, and Yum launched a frantic marketing campaign to convince the public that its food was safe. Quiz: How much do you know about China? While many American fast food operators see China as a huge growth market, Yum has placed the biggest bet on the world's second-largest economy. It operates more than 4,500 KFC restaurants in China, as well as about 1,250 Pizza Huts. It plans to build hundreds more. In the regulatory filing, Yum did not mince words in blaming meat processor Shanghai Husi, and its Illinois-based parent company OSI Group, for its latest woes. "Yum! Brands is outraged by the alleged illegal activity by Shanghai Husi and its violations of our standards," the company said, adding it could take legal action to recover losses once Chinese officials have completed their investigation. OSI chief executive and owner Sheldon Lavin has apologized for the company's actions, saying they are "completely unacceptable." "I will not try and defend it or explain it," he said in a statement. "It was terribly wrong, and I am appalled that it ever happened in the company that I own." For Yum, facing yet another uphill battle to regain the trust of the Chinese public, that is little consolation. The company said in the SEC filing that it's too soon to gauge the full impact on its bottom line but profits could suffer if sales don't recover.